Ready to upgrade to a full fledged GPS watch? We’ve gathered the best budget GPS watches on the market right now.Besides increased accuracy, a GPS watch is easier than a smartphone to take on your run. Plus they’re more durable and sweat and rain-proof than a smartphone. But if this is your first GPS watch, you probably don’t need or want all the confusing high-tech features found on expensive watches. Most of these GPS watches are designed and best for runners. 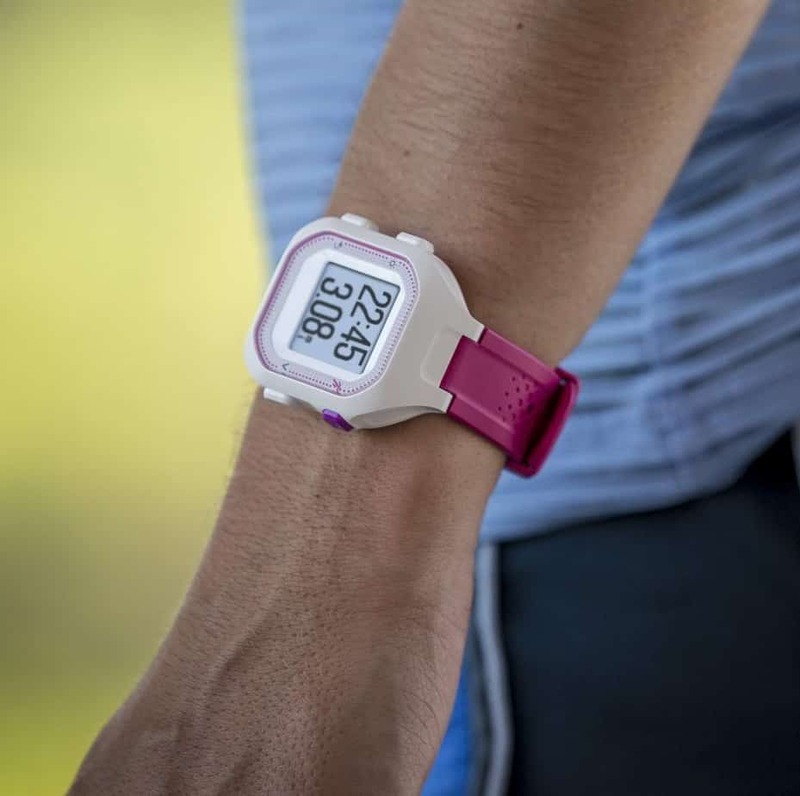 Typically, a triathlete watch requires more features, which in-turn cost more money. Size(base model) 2.4" x 1.5" x 0.54" Small: 1.37" x 1.73" x 0.55"
Large: 1.57" x 1.85" x 0.55" 1" x 1" x 0.47" 2.4" x 1.5" x 0.54" 1.4" x 1.6" x 0.52"
The Forerunner 25 is simple, light-weight, and handles the basics with ease. It comes in two sizes and multiple colors to accommodate everyone’s tastes. And the Forerunner 25 packs enough extra features to really get your money’s worth. With a simple push of a button, the Forerunner 25 is ready to track your run by time, pace, and distance. Post-run, the Forerunner 25 uploads activities wirelessly to your smartphone (or to a PC with an included cable). When running, the watch can be programmed with run/walk intervals (great for beginners or anyone doing a couch to 5k plan) or pace alerts which notify you when you go above or below a set pace. Like Garmin’s other GPS watches, the Forerunner 25 also includes activity tracking to monitor steps, sleep, provide move reminders, and create daily step goals. Like runs and other activities, the data can be easily synced to your smartphone. The Forerunner 25 comes in two sizes, including a smaller size better for thin wrists. The display is crisp and easy to read. And the battery lasts 8-10 hours in GPS mode – fairly robust for GPS watches in this price range. 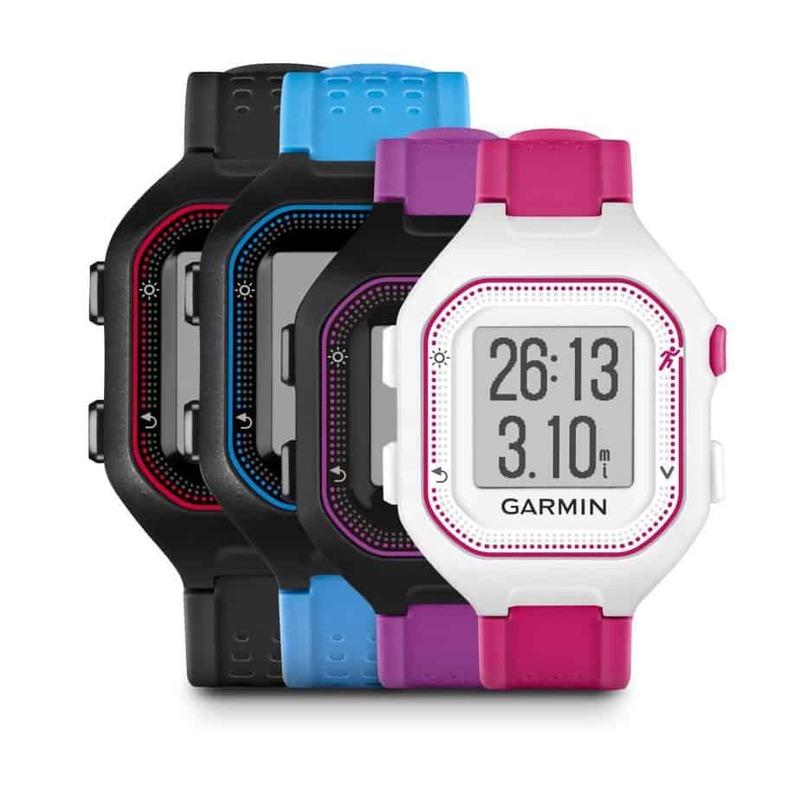 To make this an even better deal, Garmin has recently removed the Forerunner 25 from fixed pricing. What does this mean? A bigger discount for you – check the link below for the best price. This watch keeps it simple: it displays your time, your pace, and your distance. That’s basically it. All in a lightweight design with a nice 12 hour battery. Workouts can be uploaded post-run. And it has a few extra features like interval workouts, a run/walk timer, and race mode. When turned on, race mode leaves GPS no matter what. So if you are waiting in a corral or at the start for a long period of time, GPS won’t automatically turn off. It also has some pre-loaded race distances (5k, 10k, etc.) so during the race you’ll know how much farther to the finish. 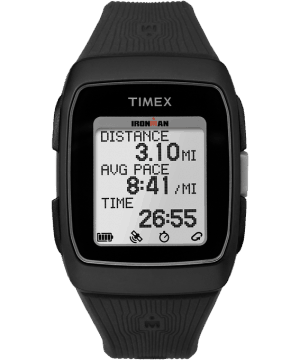 Best of all, the Timex Ironman GPS is a solid deal, listed at just under $100. With the Forerunner 35, Garmin did more than just add a wrist-based heart rate monitor to its budget GPS watch. It added new features typically found on their higher end watches. And at $170, it manages to stay below that $200 threshold. The heart rate monitor works and is just as accurate as other HRMs on the market. Garmin also included an activity tracker on the Forerunner 35. So in addition to tracking your activities with GPS, it can be worn all day and night to monitor steps, track sleep, and set daily exercise goals. Viewing activities is super-easy – the Forerunner 35 syncs to your smartphone and upload activities wirelessly. This also lets your watch act as a notifications center – all alerts and texts appear on the Forerunner 35 as they appear. With a powerful battery (13 hours GPS mode, best of the budget watches) and lightweight form, the Forerunner 35 feels light on the wrist and doesn’t require frequent charging. The screen is easy to read in bright and low-light conditions. At first glance, the Polar M200 is very comparable to the Forerunner 35 – and it costs $50 less. But while it’s great at tracking distance and pace and includes phone notifications, it has a smaller, lower-resolution screen and weaker battery. There is also no 24/7 heart rate tracking. Those things aside, it’s a good GPS watch at a decent price. 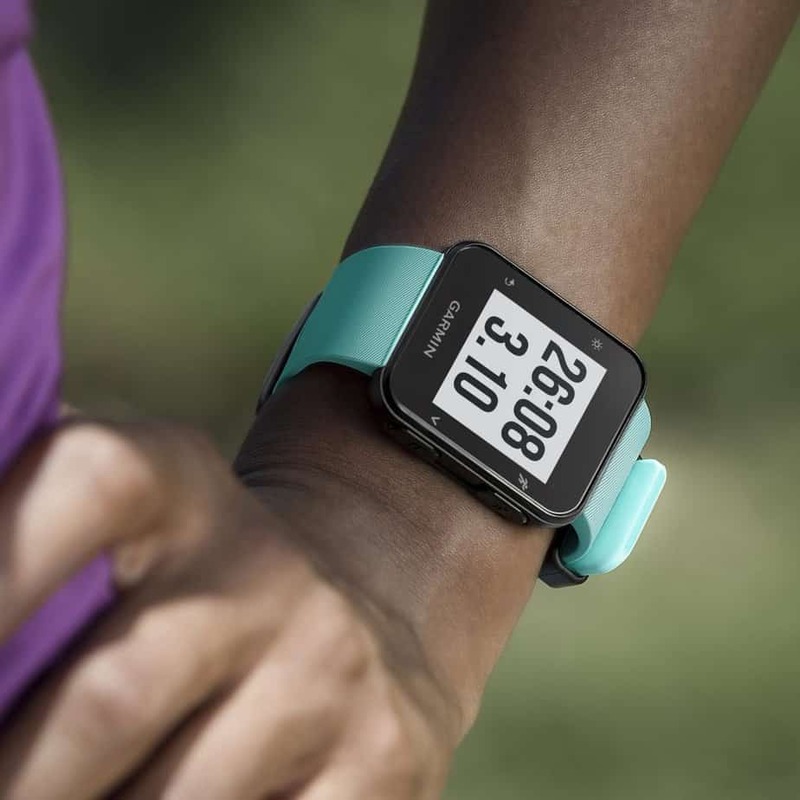 We’ve already mentioned the features packed into the Forerunner 25 & 35. Both are compact and thin, perfect for smaller wrists. They have great screen resolutions. The Forerunner 35 has a wrist-based heart rate monitor. The Forerunner 25 doesn’t, but is compatible with a Garmin chest strap heart rate monitor. The Polar M400 provides the most bang for your buck of any budget GPS watch on the market. Like some of the other GPS watches we’ve discussed, the M400 does the basics (time, pace, and distance) and includes activity tracking to monitor steps, sleep, and set daily goals. Plus, it sends alerts and notifications to the watch when it’s paired with a smartphone. 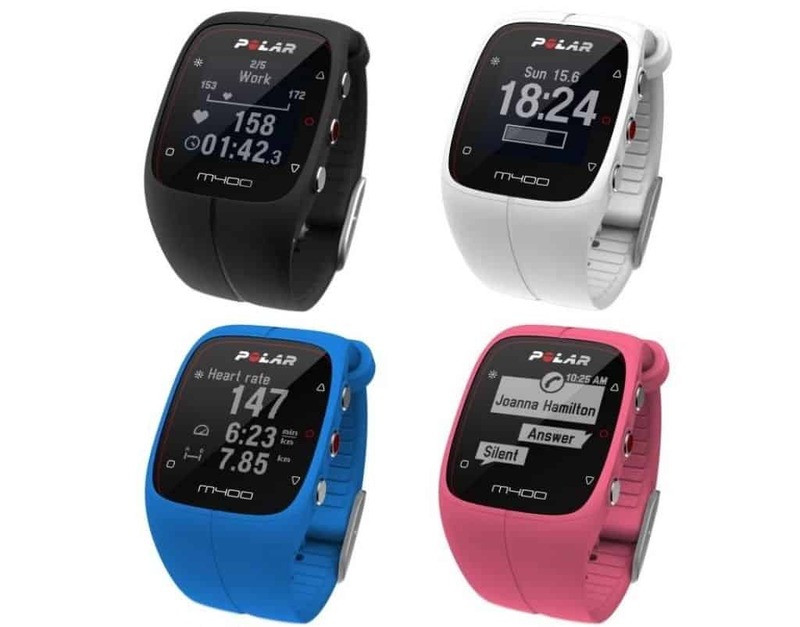 But the M400 also comes with Polar’s Smart Coaching features. These measure and analyze fitness post-run and over time as conditioning improves. Training Load tracks workout intensity, letting you know whether you should increase or decrease the difficulty. Similarly, Recovery Status provides an estimate of how much recovery time is needed before your next workout. The M400 has a nice 8 hour battery life and comes in a few different colors. It also syncs to your smartphone to upload runs and activities wirelessly. It’s been discontinued so it’s getting harder to find. But the deals are out there if you are willing to look. 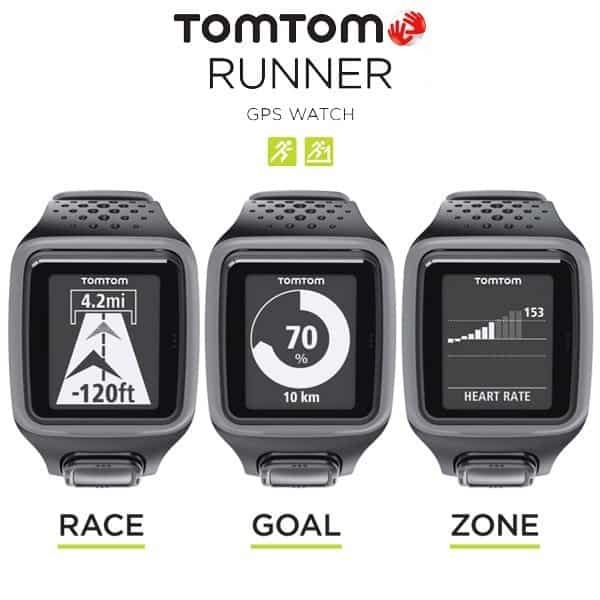 The TomTom Runner was our long time favorite for best budget watch, but it’s recently been discontinued. Now it’s getting harder to find. But there are certainly times when it’s available on Amazon, still for a great price. The Runner is a basic GPS watch. It tracks time/speed/distance. The watch is a tad bulky but it has a nice, clean display. Functionally, it’s easy to use with a single button design. You can upload runs to your computer to track and view. It will also track indoor runs on a treadmill including time/speed/distance. Even if you’re not paying top price for a GPS watch, we think the best budget GPS watches can – and should – do more than just track your time, pace, and distance. Ease of use, battery, and extra features were all things we considered when selecting these GPS watches. With more watch brands and budget models available now than ever before, there are plenty of options for all budgets. While the average mid-level GPS watch costs around $250-$300, we kept the max price for this list to about $200, with the average being around $150. The most expensive included wrist-based heart rate while the mid-range watches had a few features more than what the bare-bones versions had. The most expensive GPS watches are packed with features, but come at the expense of a more complicated design. Maneuvering between menus and screens is harder with more features. With a budget GPS watch – that has fewer features – we expect controls to be simple and easy to use. Operation should be as simple as pushing a button to find satellites and a second button push to start the timer. That’s it. One of the first things you lose in a budget GPS watch is a large screen with good resolution. The watches we’ve chosen all have a good resolution for easy reading. And while not all have a large-ish screen, most are decent sized so you don’t need to squint to read it. We’re not expecting long-lasting batteries, but they should be adequate. 10 hours at a minimum. Most of these require hooking the GPS watch to a computer via a USB wire, but we gave extra attention to watches like Garmin’s which can upload wirelessly to a phone with bluetooth. Some of the watches in our list go beyond GPS basics. These include receiving text and other phone notifications on the watch, uploadable routes, and run/walk timers. Some can be programmed with interval workouts. And we especially like the small, lightweight watches that weren’t big and bulky. Why Buy a GPS Watch? A GPS watch has two advantages over a traditional chronograph running watch. First, it measures how far you ran in real-time. You’ll never be in the dark about what mile you’re at during a run. Second, it tracks pace, also in real-time. So with a GPS watch you’ll know how long you’ve been running, how far, and at what pace. The fast majority of training plans are built around running a certain distance at a specified pace. Without a GPS watch, it’s very hard to keep track of how far you ran and the pace you are running. 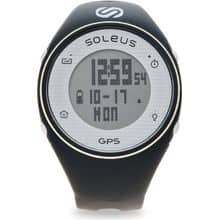 Additionally, almost every GPS watch allows you to download the activity to a computer or phone. This makes it easy to record your runs. This allows you to review past runs, track mileage over a long period of time, and see how your fitness has improved. What Does a GPS Watch Do? Beyond tracking time, pace, and distance, a GPS watch has many extra functions. It tracks running data like cadence, calories burned, and heart rate. It can be programmed with intervals or other complicated workouts to help you with your training. Many GPS watches auto-pause the timer when you stop. And they automatically set a lap at every mile. More expensive GPS watches are compatible with cycling accessories. Some can track swim workouts. Other watches can track ski runs. How Much Does a Good GPS Watch Cost? A basic watch can cost as little as $50. The most expensive can be upwards of $1,000! There is an entire range of watches in-between. If you want a GPS watch that can do a lot of things, but doesn’t cost a ton of money, we recommend looking into a discontinued watch. These older models are still good, but cost much less than the latest watch it replaced. These watches still have loads of useful features. 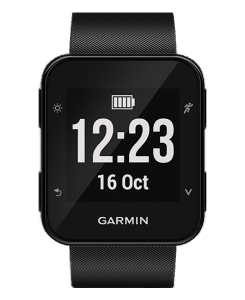 But typically lack the newest features (like Garmin Pay on the vivoactive 3). Another factor to consider: battery-life in GPS watch has greatly improved. Batteries in older watches won’t last as long. GPS watches have also gotten smaller in recent years. Older models are often bigger and bulkier than the latest GPS watches. What am I giving up by buying a budget GPS watch? When buying a budget GPS watch, you need to decide where your budget meets your needs. If you want wrist-based heart rate, it’s going to cost more than a watch that only tracks heart rate with a chest strap. A more expensive watch will do more things – it tracks more data, can be used with more activities, helps with training and running form. The entire feature list can be pretty long. But functionality is more complex. This is why many people prefer a budget GPS watch. They may not be able to do as much, but they are simpler to use. Can I use a budget GPS watch for activities besides running? Yes, absolutely. You can use even the most basic GPS watch to track anything outdoors where you want to know time, distance, and speed. This goes for cycling, canoeing, skiing, kayaking, walking, hiking, etc. What you often lose are extra features for those specific activities. For example, the higher-end Garmin fenix series tracks ski runs. It measures vertical speed (how fast you are going down), it automatically sets a lap at the bottom of the run, and it auto-pauses on the ski lift. You could do the same thing on a less expensive watch. But it’s going to require more manual stopping, pausing, and lapping. That’s just one example – each watch and each activity is different. Will My GPS Watch Work in Europe? Yes! Sometimes it will take longer to find satellites, but yes it works!